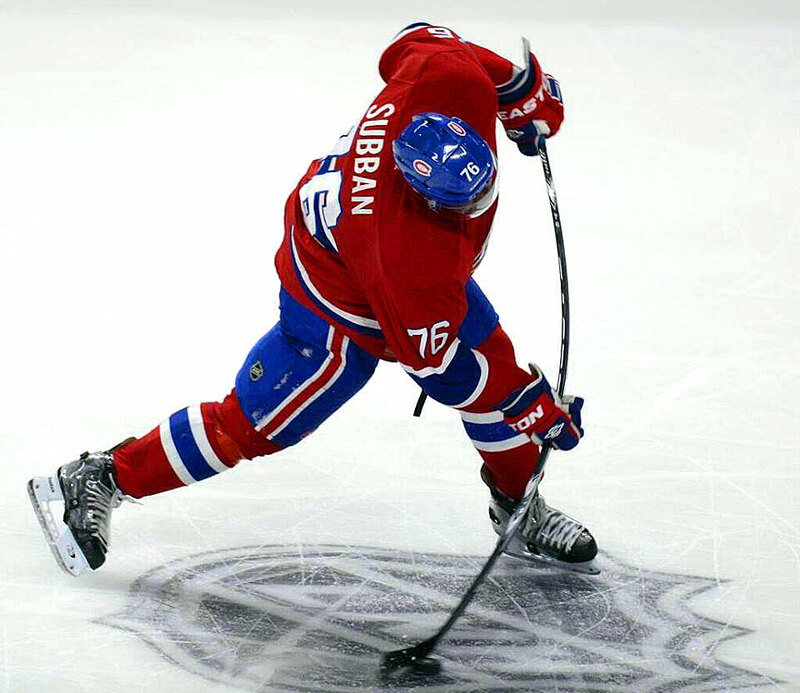 PK Subban is an amazing professional NHL hockey player who plays for the Montreal Canadiens. 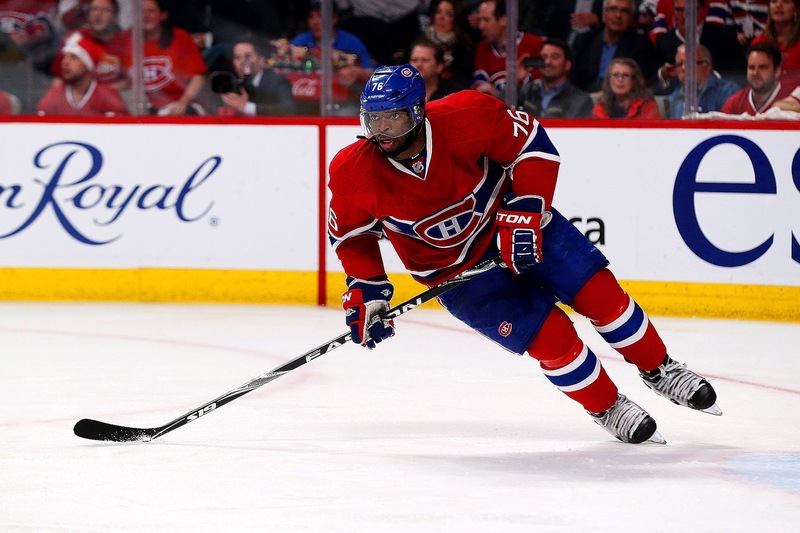 He also won a gold medal at the 2014 Winter Olympics in Sochi while playing for Canada. First, I love your blog and check it regularly to get great bits of Rolex history and learn about who wears these timepieces that you are so passionate about! I look forward to keeping up with your blog! 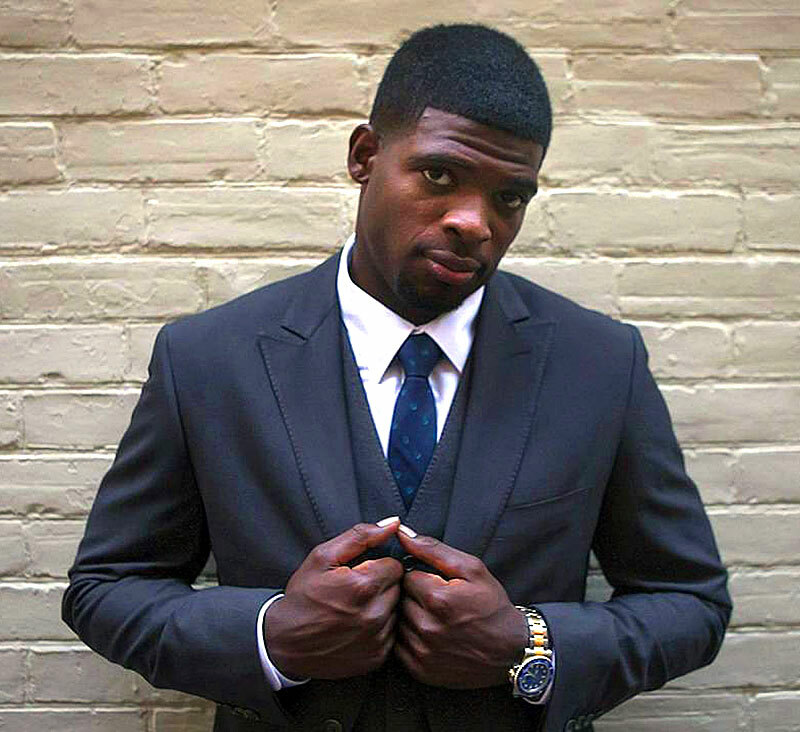 PK Subban recently signed a deal with his team that will pay him $72 Million, which is very impressive. 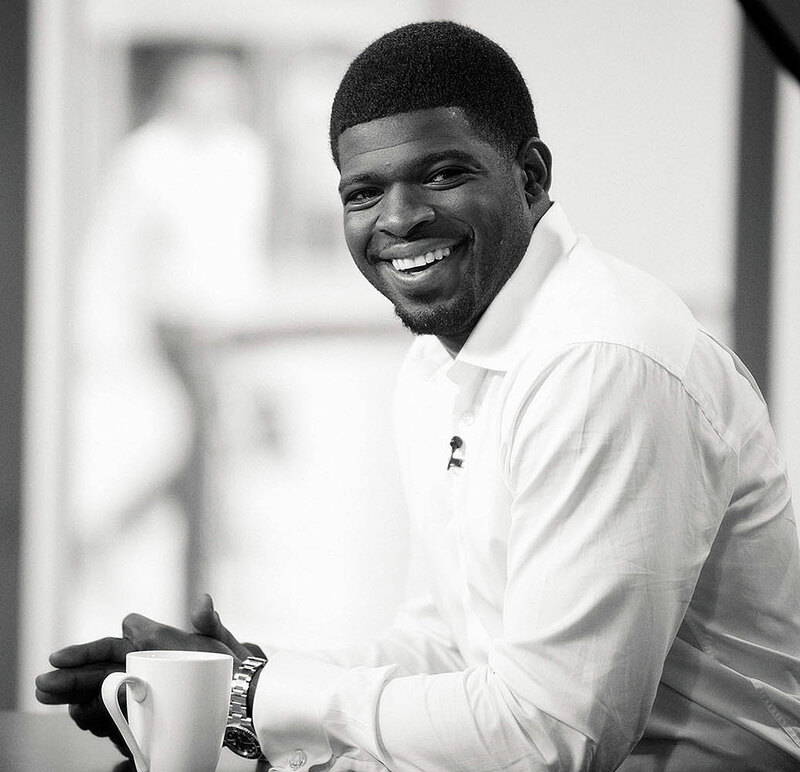 PK recently announced he would be giving a $10 Million grant to help underprivileged people in hospitals, which is the largest grant ever made from a Canadian athlete. 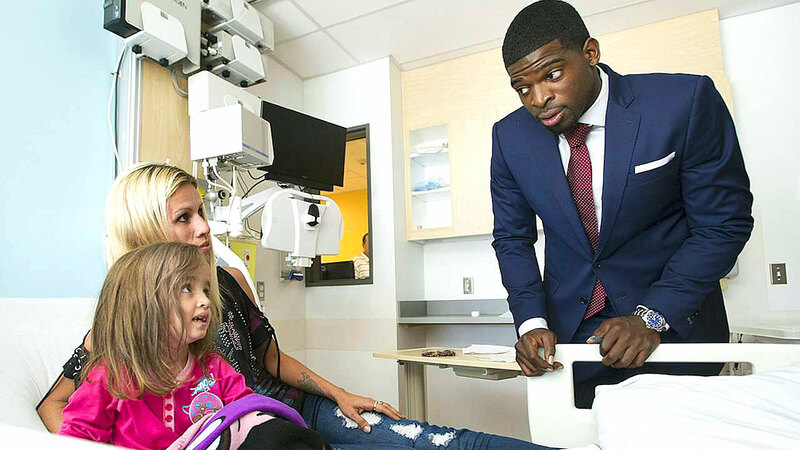 PK is pictured below in a Canadian hospital talking with a child and her mother inspiring her to recover.